This course book examines the concepts related to Free Software business and allows us to know and identify concepts related to its production. The student should become familiar with agencies and projects related to the implementation of Free Software in the public sector, private sector and know, identify and understand the consequences of the use and exploitation of Free Software in different areas of implementation. 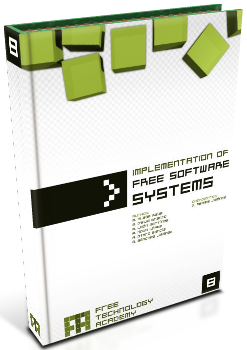 This book also studies how to approach and implement projects based on Free Software, projects to migrate, production and development methodologies and business projects related with free software.